I’ll be traveling for a few days, so I won’t be posting. 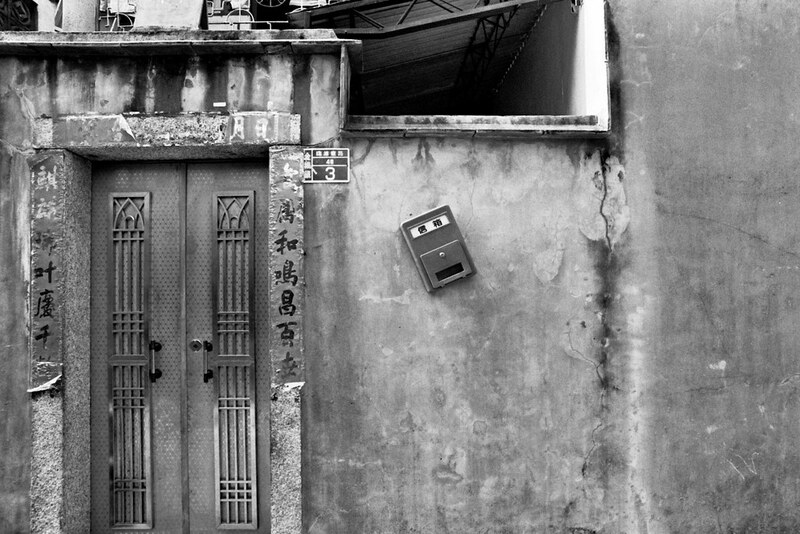 I’ll leave you with this photo essay from my November 2007 trip to Kinmen. You can view all the photos from the trip at this flickr photoset. 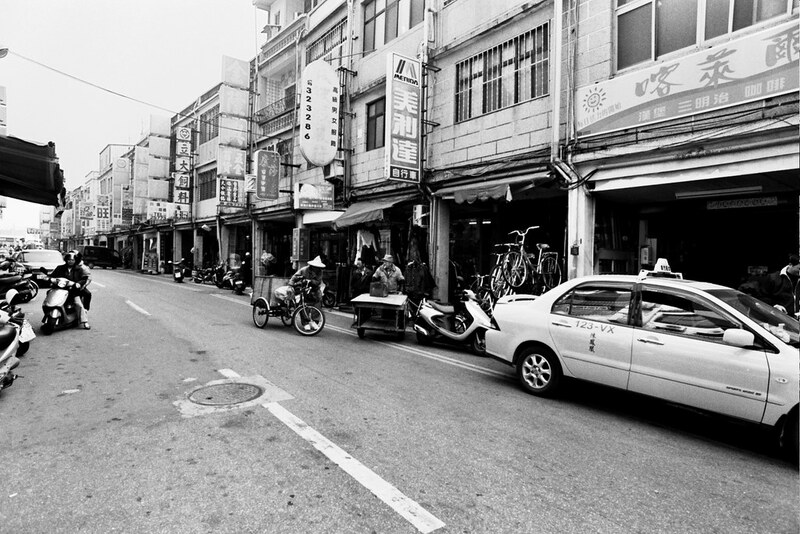 Kinmen (pronounced and sometime said Jinmen, formerly Quamoy) is an island that’s a part of the Republic of China (Taiwan) but that is 2km off the coast of the Democratic Republic of China. It had an isolationist period and has some classic Fujianese architecture. 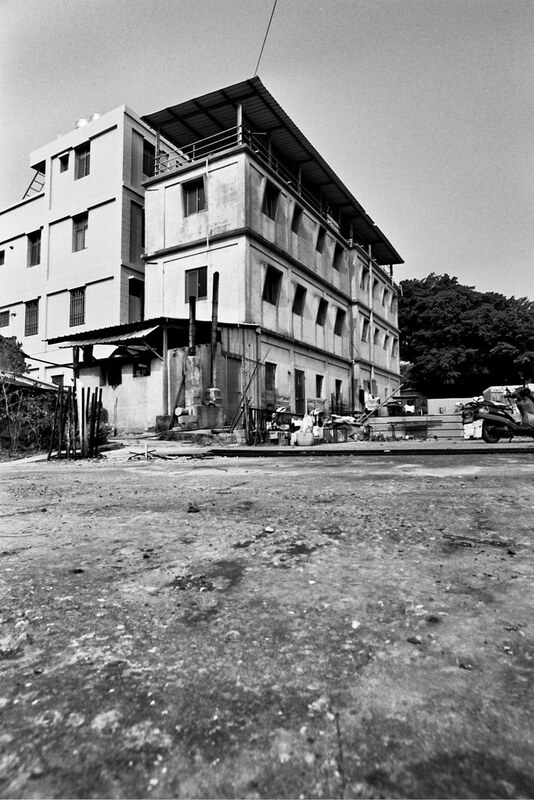 For a brief time, well to-do business brought “colonial” architecture, copied from British colonial houses in Singapore. It’s also had a long history of conflict, first being shelled by Japan and later by mainland China. It was seen as a stronghold for the Nationalist Chinese. Above is a boat bomb shelter that was blasted into the rock. 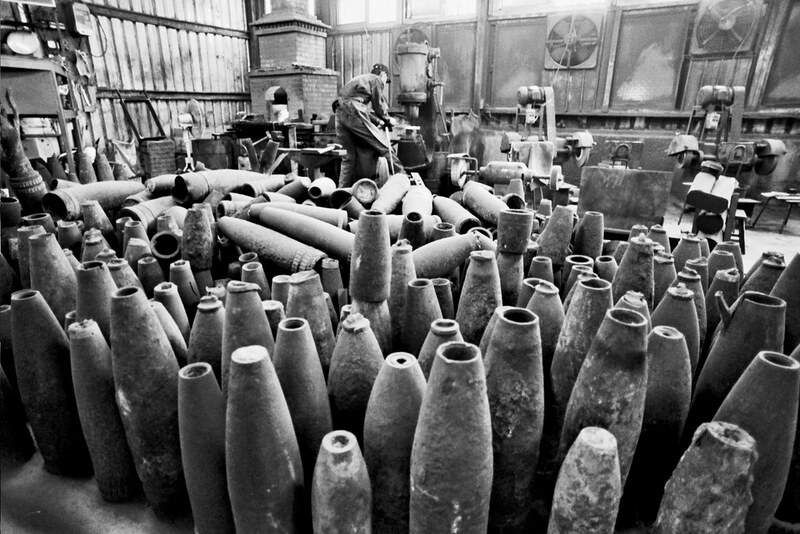 Thousands of artillery and propaganda shells still cover the island. One local artisan has been making them into high quality kitchen and pocket knives. Here he demonstrates how it’s done. One fairly modern building stands in a village not far from the largest city of Jincheng. 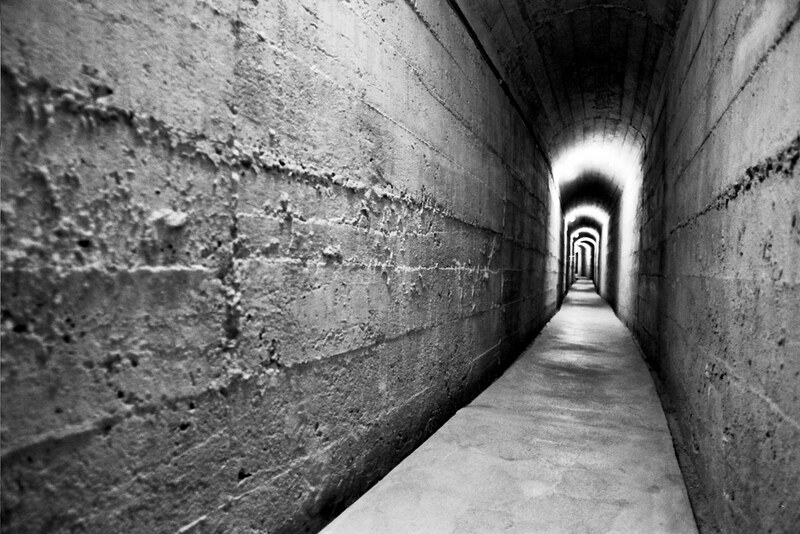 There are tens, if not hundreds of miles of bomb shelter tunnels on the island, under modern houses and ancient villages alike. Some are now open to the public, but they are still connected to houses, as evidenced by the TV or kitchen sounds one can faintly hear in them. Many of the older buildings and villages have intricate sets of rooms, courtyards and passages. Here one can see into one of them. A doorway and a crooked mailbox. 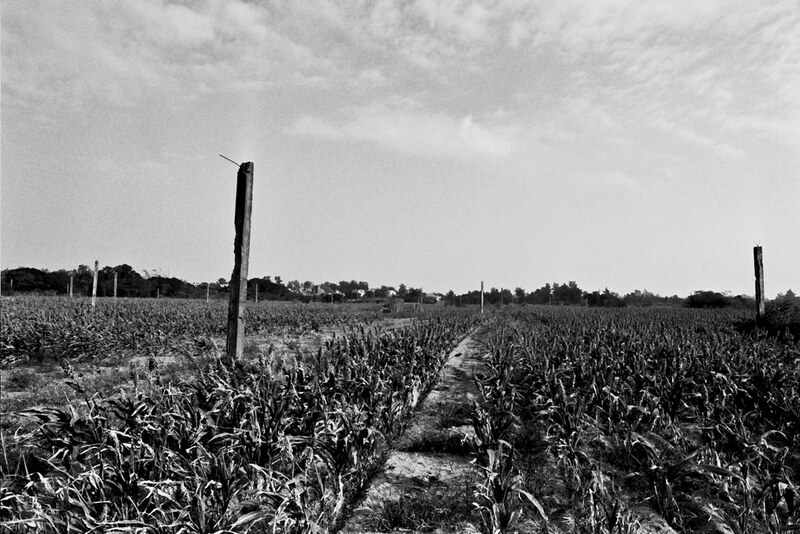 Though there has not a tangible threat of invasion for a number of years—the relations between the two Chinas have progressed to the point where mainland fisherman are allowed to land on Kinmen and vice-versa—one still see anti-parachute landing spikes in many of the fields, such as in the midst of this sorghum crop. 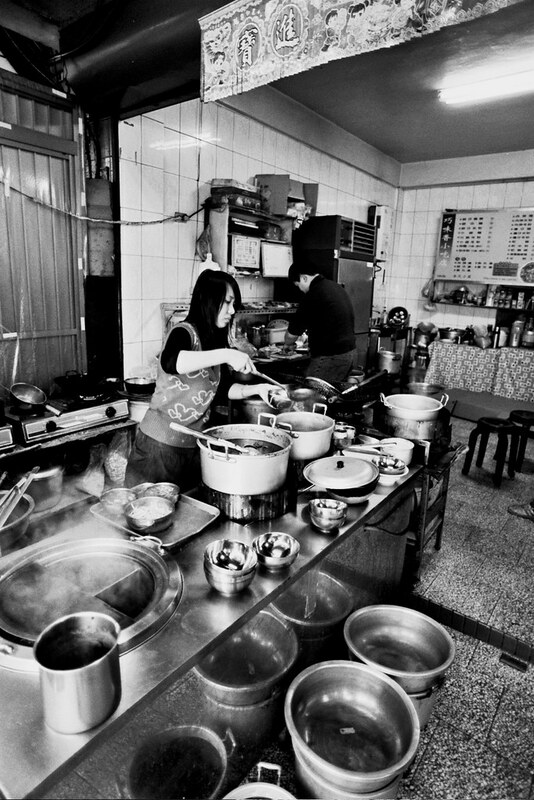 In Jincheng there is a soup shop that uses the local-style noodles to make a unique pork noodle soup. 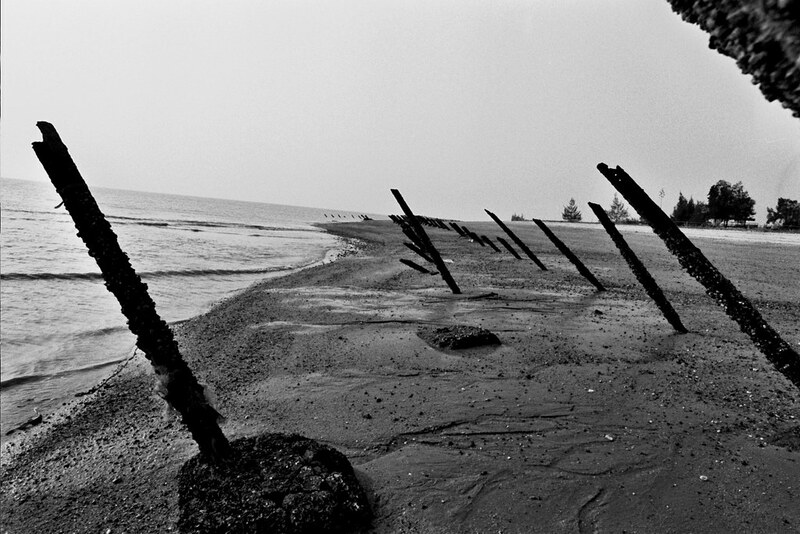 Much like the spikes in the fields to guard against parachute landings, some beaches still have spikes to guard against amphibious landings. The narrow streets of Jincheng are busting with sellers, cars, scooters, rickshaws, bikes and people. 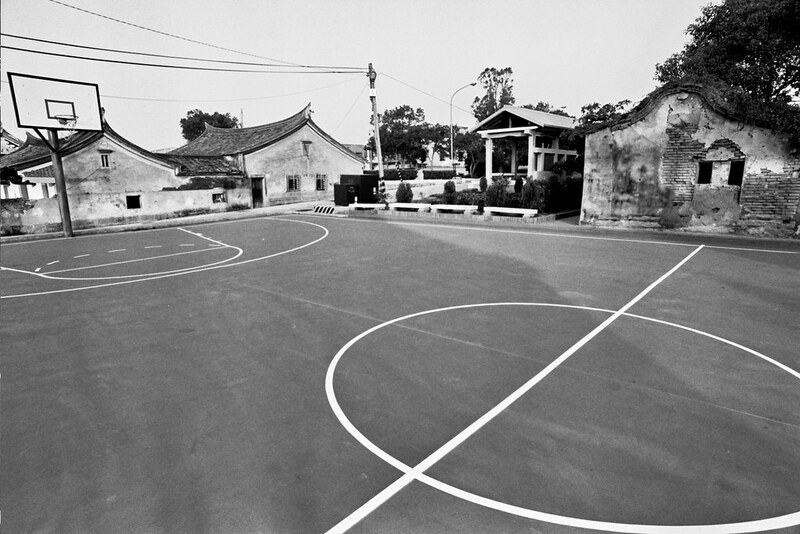 A basketball court stands with older buildings in a village not far from Jincheng. 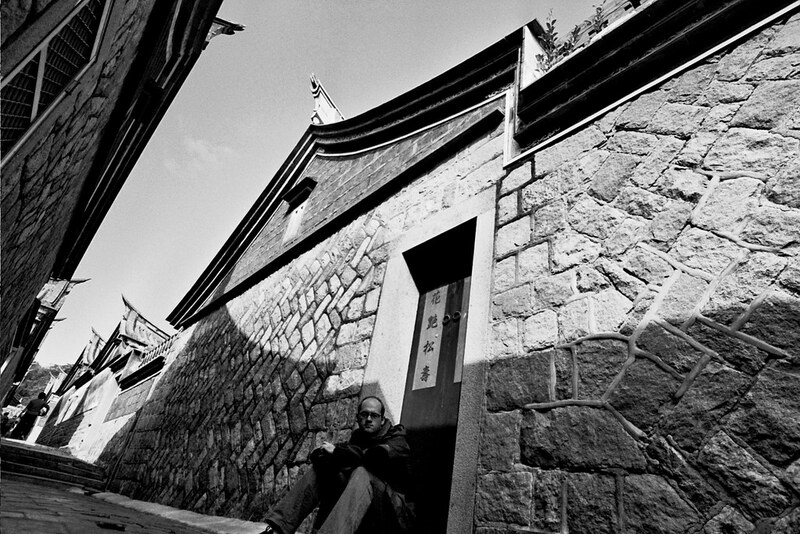 A self portrait of your photographer in one of the oldest standing villages on the island. 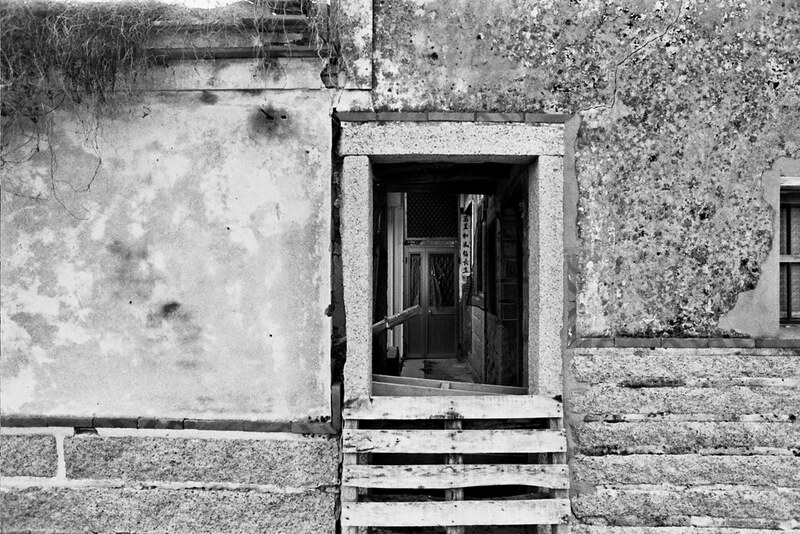 All photos taken with a Nikon N70 body, a Nikon 20mm f/2.8 lens and Tri-X 400 film.